These orange plastic milk crates are available in sets of 96. Ordering in wholesale sizes passes the savings along to you. 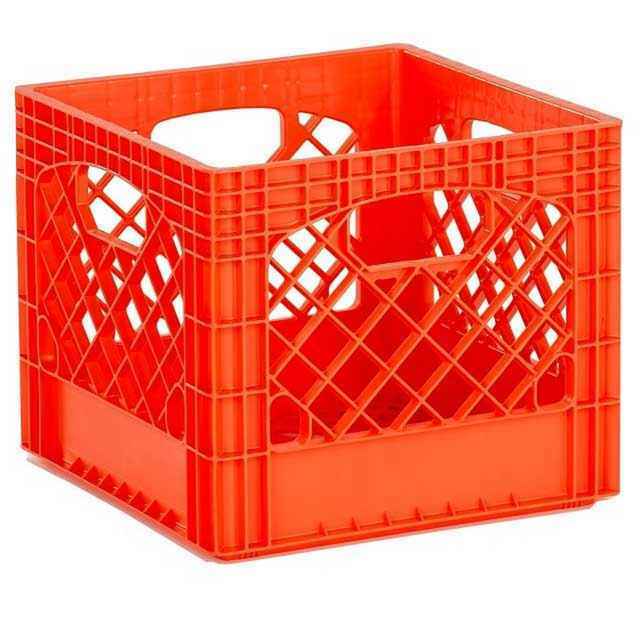 Great for food storage or school milk storage, these orange milk crates are made with durable plastic and are meant to last. See all Plastic Milk Crates.